Say hello to Sally Struthers in 'Hello Dolly!' this Thursday, January 30 through Sunday, February 2 at the INB Performing Arts Center. Winner of ten Tony Awards including Best Musical, 'Hello, Dolly!' is one of the most enduring Broadway classics. Emmy-award winning Sally Struthers ('All In the Family', 'Gilmore Girls') stars as the strong-willed matchmaker Dolly, as she travels to Yonkers, NY to find a match for the ornery 'well-known unmarried half-a-millionaire' Horace Vandergelder. The Northwest Ceramics Invitational at the Kolva Sullivan Gallery and Trackside Studio at 115 South Adams is having a closing reception this Friday, January 31 from 5 to 8:30 pm. 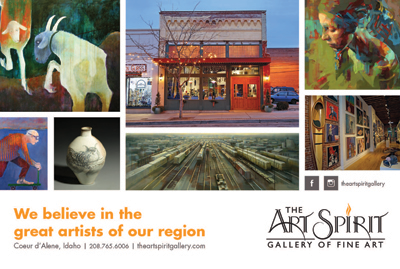 The show features 29 ceramic artists from Washington, Oregon and Montana. The Spokane International Film Festival continues through this Saturday, February 1. 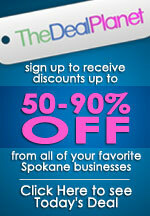 For a complete listing of films, special events and tickets, visit spokanefilmfestival.org. See, hear and feel every hit in Super Bowl 48, live on the Bing Crosby Theatre's 30 foot wide screen with HD surround sound. Beer, popcorn, soda, and food are available for sale at multiple concession stands. Doors open at 2 and the game starts at 3:30 pm Sunday, February 2 for a suggested donation of just $5. 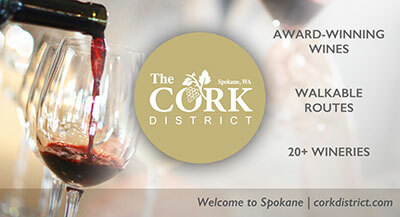 The Connoisseur's Club at The Lincoln Center invites you to a special winemakers dinner featuring a wonderful 5-course menu created by Executive Chef Steve Jensen, paired with wines by Three Rivers Winery from Walla Walla. Also included is a Valentine's Day gift for every couple. The fun takes place on Valentine's Day, Friday, February 14 from 6-10pm. Cost is $55 each. Connoisseur's Club members receive a 20% discount. 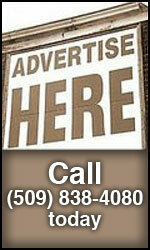 Additional information is available at thelincolncenterspokane.com or by calling 509-327-8000. For tickets, click here. The Spokane-produced movie 'Different Drummers' is still running at the River Park Square AMC Cinemas, 5 shows a day, 7 days a week, and they're adding the Windermere Village Cinema on the 7th of February. The show was #1 last weekend at the AMC 20 for the 3rd week in a row. It did almost double the ticket sales of each of the top studio blockbusters, 'Lone Survivor', 'American Hustle', 'Ride Along', 'Jack Ryan', and 'Frozen'. And five times the ticket sales of the new studio blockbuster 'I Frankenstein'. Gonzaga University's Jundt Art Museum will display 'Manzanar: The Wartime Photographs of Ansel Adams' in the Jundt Galleries through March 29. The exhibition features 50 of the renowned photographer's images of the Japanese-American relocation camp in Manzanar, Calif. during World War II. Adams' Manzanar work is a departure from his signature style of landscape photography. On the Main Stage: 'Fiddler on the Roof', 'A Christmas Carol, The Musical', 'The Servant of Two Masters', 'Nunsensations! ', 'Sherlock Holmes and the Curse of the Sign of Four', and 'The Music Man'. In the Firth J. Chew Studio Theatre: 'Dr. Jekyll and Mr. Hyde', 'Orphans', 'Clue The Musical', and 'Sylvia'. Academy Musical Performance Camp: 'Legally Blonde'. Special Event Fund Raiser: 'The Women'. For more information go to www.spokanecivictheatre.com. Tickets are on sale now for Tool, coming to the Spokane Arena March 4. Comprised of drummer Danny Carey, guitarist Adam Jones, vocalist Maynard James Keenan and bassist Justin Chancellor, Tool is known for their live performances and ability to blend musical experimentation and the visual arts. The winner of three Grammy Awards, including Best Metal Performance in both 1998 and in 2007, Tool has released 4 full-length studio albums, all to critical acclaim. This weekend at Uncle D's Comedy Underground Don 'Hit Man' Parkins returns with rapid fire hard hitting, hilarious comedy this Friday and Saturday nights at 8. (Doors open at 7). The show is upstairs (no, I don't know why they call it Underground) at Bluz at the Bend, 2127 North Market. 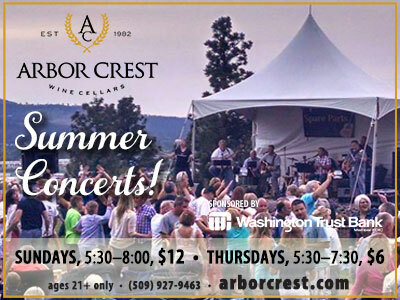 Call 509-483-7300 for reservations. Marvel fans, assemble! Marvel Universe LIVE! is taking the live show experience to a whole new level with a mind blowing show unlike anything you have seen before. Watch your favorite Marvel Super Heroes come to life in an action packed arena spectacular, taking over the Spokane Arena from Thursday, June 4, 2015 through Sunday, June 7, 2015. Tickets are on sale now at www.ticketswest.com or 800-325-SEAT. Get your ear plugs and get ready for one of the most amazing spectacles in automotive entertainment. (Especially when you watch it through the eyes of a seven year old boy!) Monster Jam is coming to the Spokane Arena Friday, February 7 at 7:30pm, Saturday, February 8 at 2:00pm & 7:30pm and Sunday, February 9 at 2:00pm. Monster Jam is the world's largest and most famous monster truck tour featuring the biggest names in monster trucks including Grave Digger, Maximum Destruction, Monster Mutt, El Toro Loco, Captain's Curse and Blue Thunder. Reserved tickets are $20 ($5 kids ages 2-12) with Golden Circle seats for $25 and Front Row for $40. Ticketswest has yours at www.ticketswest.com or 800-325-SEAT. Don McLean is one of America's most enduring singer-songwriters and is forever associated with his classic hits 'American Pie' and 'Vincent (Starry Starry Night)'. Since first hitting the charts in 1971, Don has amassed over 40 gold and platinum records world-wide and, in 2004, was inducted into the Songwriters' Hall of Fame. His songs have been recorded by artists from every musical genre, most notably Madonna's No. 1 recording of 'American Pie' in 2000. Ticket Prices: $45, $55, and $65. 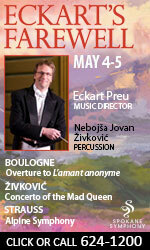 Show time is 7:30pm (doors open at 6:45pm). All Ages, 16 & under must be accompanied by an adult. For tickets and information, visit northernquest.com.